The origins of the software process improvement field go back to Walter Shewhart’s work on statistical process control in the 1930s. Software process improvement is concerned with practical action to improve the processes in the organization to ensure that they meet business goals more effectively. For example, the goal may be to deliver projects faster and with higher quality. Software process improvement initiatives lead to a focus on the process and on ways to improve it. Many problems are caused by defective processes rather than people, and a focus on the process helps to avoid a blame culture that occurs when blame is apportioned to individuals rather than the process. The focus on the process leads to a culture of openness in discussing problems and their solutions, and in instilling process ownership in the process practitioners. Software process improvement allows companies to achieve their business goals more effectively. It helps software companies to deliver high-quality software on-time and on-budget, as well, reducing the cost of development, and improving customer satisfaction. 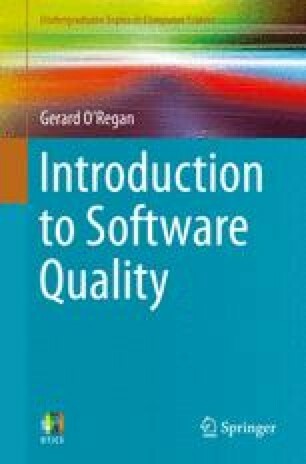 It has become an indispensable tool for software engineers and managers to achieve their goals, and provides a return on investment to the organization. Various models that support software process improvement are discussed, and these include the CMMI, ISO 9000, PSP and TSP.